Beebe Healthcare recognized employees and physicians for their dedication and commitment to high quality patient care during the seventh annual Quality and Safety Awards Banquet held recently at Kings Creek Country Club. The evening represented the culmination of a year’s work by 26 teams, made up of more than 200 Beebe team members, that designed and implemented process improvement initiatives positively impacting the quality of patient care. Three of the 26 teams were presented with awards for their outstanding projects, which solved quality or safety problems identified in a hospital setting. Mr. Fried noted that Beebe is striving to be a highly reliable organization, which is one that has systems in place to accomplish quality and safety goals and to avoid potentially catastrophic errors. Stephen Fanto, MD, Chair of the Board of Director’s Quality and Safety Committee, introduced the three teams, which then formally presented their project goals, methodologies, and solutions. He also pointed out how exciting it has been to see the growth in the number of teams participating in the awards program, and thanked those that attended the banquet. Dr. Fanto, together with Mr. Fried, The Honorable William Swain Lee, Chairman of the Beebe Board of Directors, and David A. Herbert, Vice Chair of the Beebe Board of Directors, presented the awards. More than 110 people attended the banquet, including members of the 26 teams. Surgical Infection Prevention Process Improvement Team. Reducing Hospital-Onset Clostridium difficile Infections. 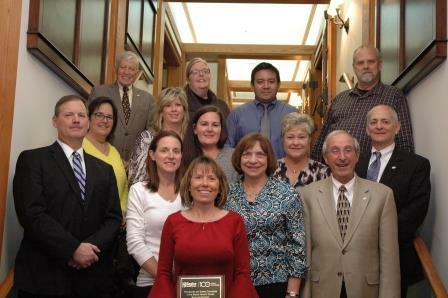 Members of the Surgical Infection Prevention Process Improvement Team pictured with Beebe leadership are, left to right, back row: The Honorable William Swain Lee, Beth Richardson, Moises Montano and Tim Gwaltney; middle row, Kathi Fryling, Regina Newell, Melissa Heldreth, Tracy Williams, and Jeffrey Fried; and front row, Dr. Stephen Fanto, Jennifer Hazzard, Mary Lou Warren, and David Herbert. Teresa Hitchens is holding the award. 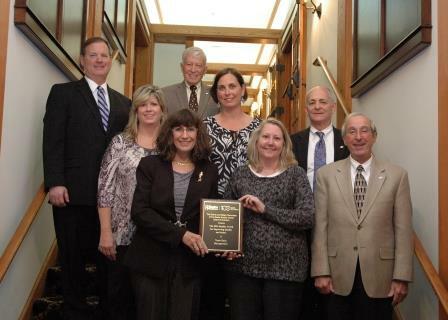 Members of the Team Daily Management with Beebe leadership are, left to right, back row, Dr. Fanto and The Honorable William Swain Lee; middle row, Regina Newell, Tara Cooper and Jeffrey Fried; and front row, Margaret Porter, Sandra Hewett and David Herbert. 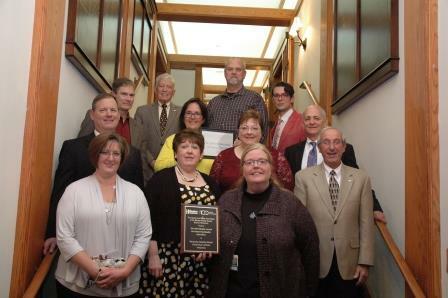 Members of the Reducing Hospital-Onset Clostridium difficile Infections team, with Beebe leadership, are, left to right, back row, Rich Matthews, The Honorable William Swain Lee, Tim Gwaltney, and Will Allen; middle row, Dr. Fanto, Kathi Fryling, Cheryl Hopple, and Jeffrey Fried; and front row are Jennifer Blakeney, Kathy Podbesek, Beth Richardson, and David Herbert.